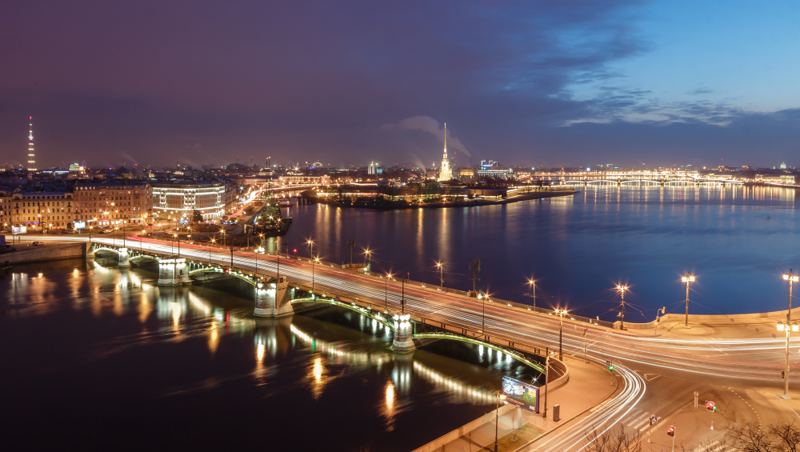 Saint - Petersburg is rightfully considered to be one of the most beautiful cities worldwide. Millions of tourists from all over the world gather to see famous architectural monuments, enjoy the romance of the “White Nights” and touch the rich history of the Northern capital of Russia. The most well-known street of the city is Nevsky prospect. This avenue starts from the main sights of St. Petersburg, such as the Admiralty building, the Palace Square with the Hermitage, the Alexander Column and the General Staff building, and ends with the majestic Saint Alexander Nevsky Lavra. The famous drawbridges, the spit of Vasilyevsky Island with the Rostral columns, the Kunstkamera museum, and the Peter and Paul Fortress could be seen from the Palace Embankment. The city guests can familiarize themselves with the gorgeous architecture of old mansions, visit theaters, museums and temples, for example, the Mariinsky Theater, the Russian Museum, the Kazan Cathedral, the Church of the Savior on Spilled Blood or Saint Isaac’s Cathedral, just moving only along the Nevsky Prospect and the streets adjacent to it. 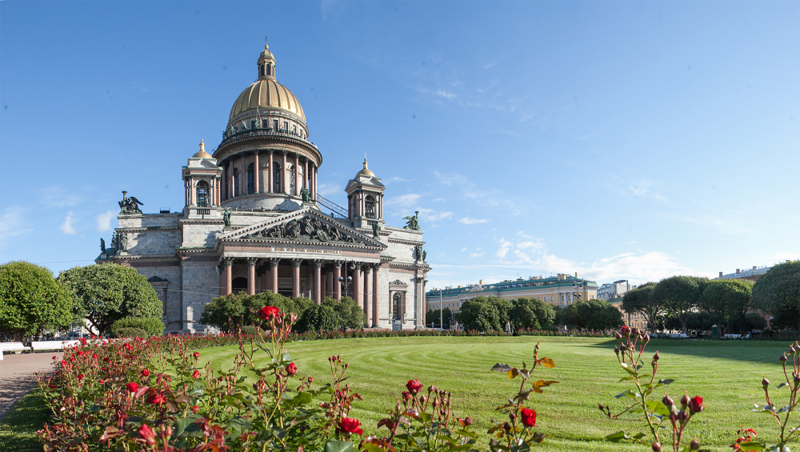 Saint-Petersburg is also known by its parks and gardens, as well as its rivers and canals that have gained the fame for the Venice of the North for the city. The amazing outskirts, such as Peterhof, Gatchina, and Pavlovsk, are considered to be of cultural and historical value. In 1990, the historical center of St. Petersburg and the palaces and parks ensembles of the suburbs were included in the UNESCO World Heritage List of objects in Russia. Our city also offers a variety of exhibitions, cinemas, shopping and entertainment centers, and restaurants of any choice for visitors who prefer more modern pastime. Furthermore, different global events, such as International Cultural Forum, International Economic Forum, various folk festivals are periodically held in St. Petersburg. Sports competitions (among of them the remarkable event of this summer FIFA World Cup 2018) also take place in St. Petersburg.